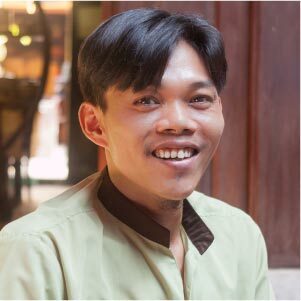 Founder and CEO of Reaching Out Vietnam, Mr. Binh, disabled as a young man, was inspired by the challenges he faced to create an environment where other PWD’s could acquire skills and become independent and fully integrated into their communities through education, meaningful work and empowerment. Through strong but heartfelt leadership and his own example of hope and fortitude he has built the social enterprise. 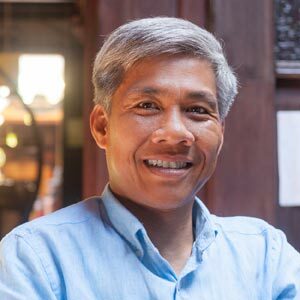 Mr. Binh oversees the strategy, finance, technology and liaison with consultants and subject matter experts. 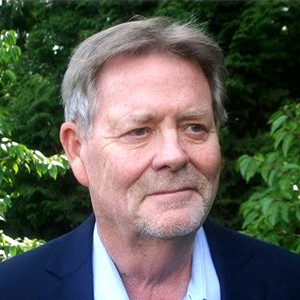 A staunch advocate for PWD’s, he is a sought after resource for those seeking solutions in overcoming barriers. Mr. Binh is devoted to his wife Quyen and their young family. 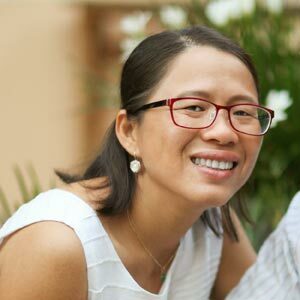 Quyen, a jeweler’s daughter, founded the enterprise with Binh and manages the Sales and Marketing including managing supplier relationships, buying, staffing, production and overseeing creative design. 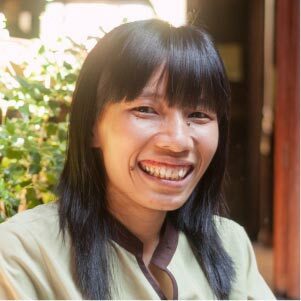 A champion of her staff, their development and happiness, Quyen ensures their continuing development opportunities and whole life wellness. She encourages community involvement. Her skills in sign language have facilitated easy communications between hearing and deaf members of the staff. She is the driver behind our quality standards and excellence in customer service. The mother of two sons, Quyen exemplifies the delicate balance of work and home life demands. Nam’s sense of touch allows him to hear and feel the intricate design work that he creates in in silver and brass. His speech and hearing impediments prevented him from going to school and he could not read nor write. But since working at Reaching Out, he has learned to use sign language and to text. At work he is a respected, expressive and focused artist who shares his passion for creative arts with new employees. He is proud of the house that he has built and he works out in the gym. Tu oversees the buying and storing of our coffee beans and tea leaves. He insures that quality standards are met by our small, local producers and he roasts the coffee beans in-house in small batches in our custom roaster. He taste tests every batch of the tea leaves and roasted coffee beans. 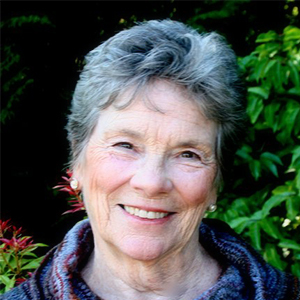 Tu’s wife also works at the Reaching Out Tea House. Together they support a local charity which serves the disenfranchised in the community. Trinh is a long-term member of the Reaching Out family where her acute observation skills and artistic abilities helped her to create new embroidery designs. 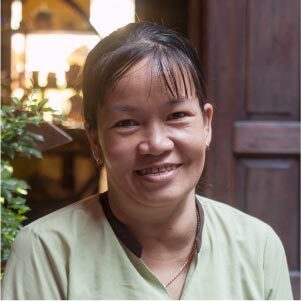 Now Trinh runs our Tea House with the same care as her own home. She is able to visually assess customer needs through expression and gestures. New trainees learn from her example to develop the same eye for detail. 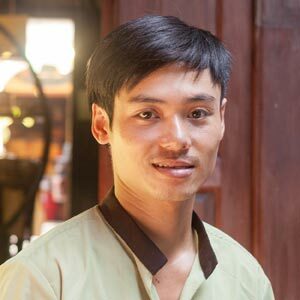 Trinh’s husband Trung also works for Reaching Out. With their little girl, they exemplify the independent lives possible for PWD’s. Houng is Reaching Out’s very reliable Team Leader of the Purchasing and Inventory Group. Her university education, English language skills and her ability to sign make her an excellent communicator with suppliers and staff. 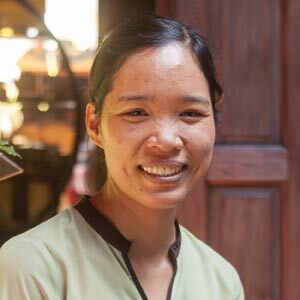 Huong is open hearted and a good listener so staff relate to her well. She returns home to Hanoi twice a year, visits her sister in Da Nang and finds time to read fiction. Ni, through her 8 years at Reaching Out, has become an enthusiastic ambassador for our business. She studied Library Science at college but could not find a job in that profession so worked under harsh conditions at a tailoring shop. Now, her frontline position as Sales Group Leader at Reaching Out gives her ample opportunity to instill in others the strengths and rewards of working with an inclusive team of able bodied and disabled persons. Ni’s knowledge of our production processes, our authentic line of gift items and her respect for the whole team epitomizes our core values. She is a problem solver and with her excellent English can assess customer needs readily. 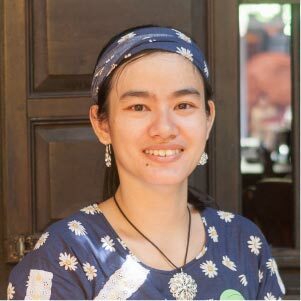 Thuy has been with Reaching out since its inception. Her unhappiness in her early life, unschooled and working in a brick factory is a distant memory. She has learned sign language and supports her daughter and contributes to her family’s income. Thuy loves her Reaching Out family. She is an active participant in all social and educational activities at the shop and is a role model to newer staff. Her focus on quality workmanship produces vibrant silk bedspreads, embroidered table runners and pillows and fun toys. Do refer to his exclusive story in Advocacy. 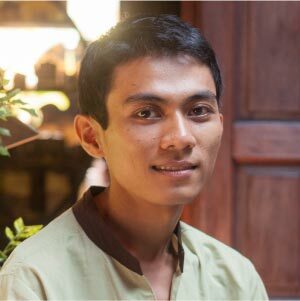 Toan studied economics at university and has found his niche at Reaching Out as an IT Specialist. 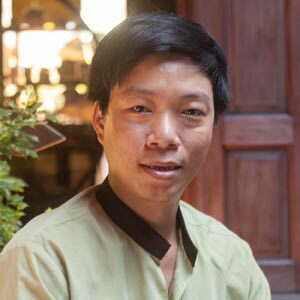 He works with Mr. Binh and our technology consultant on all matters related to networks, hardware and software. He also works with the staff to upgrade their computer reporting skills. Toan is an avid reader and spends his free time learning about and researching high tech devices. He loves to travel. 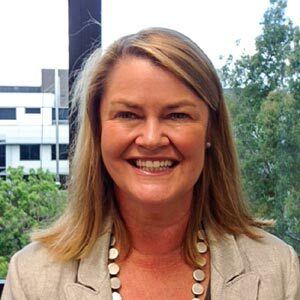 Annette, of Sydney, Australia was instrumental in the development of Reaching Out’s dynamic human resource strategy. The team was open to learn and implement sound HR principles within the business, including the exploration of the organizational values and planning for the development and future growth of employees. She continues to provide us with timely advice on human resource development matters.